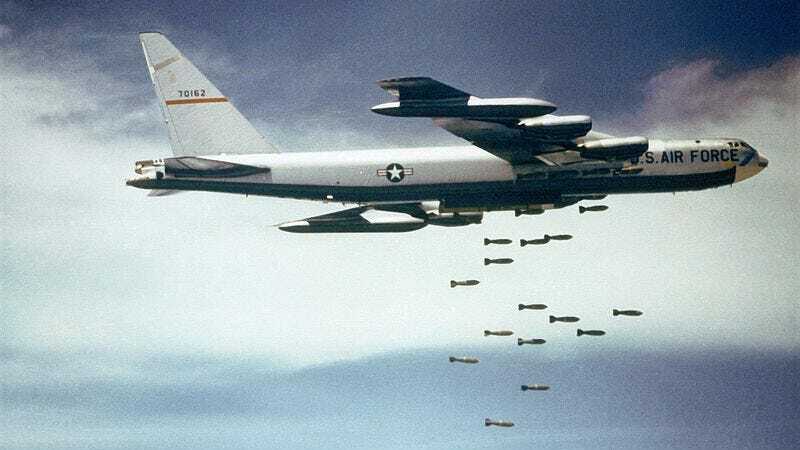 The United States has officially announced that it flew two B-52 strategic bombers over Chinese defense airspace in direct challenge to Beijing. China unilaterally declared the area as "restricted space" last Saturday, following a long territorial dispute over its islands, now administered by Japan. Good luck, everyone! In an unprecedented move, the bombers flew from the Naval Base in Guam and headed directly into the restricted airspace without informing China. According to a US official speaking to the Wall Street Journal, the B-52s weren't escorted. It's not coincidence that national security expert and Pulitzer winner Mark Thompson wrote that "China's restriction on airspace over disputed islets could lead to war." And here we were, worrying about Iran.